Even when ventilation is good, sometimes it is not adequate to stop mould growing. 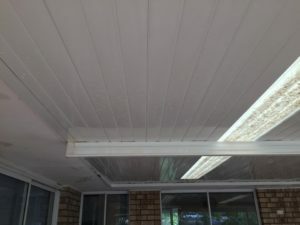 Condensation occurs when the atmosphere is laden with water vapour this is normally referred to as humidity. The Gold Coast as we all know gets Its fair share of humidity. 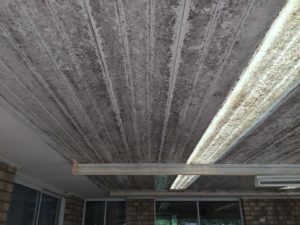 When the humidity comes in contact with a cold surface it condenses into water droplets that are ideal for mould growth. Spores traditionally come from trees and plants and we have plenty on the Gold Coast. 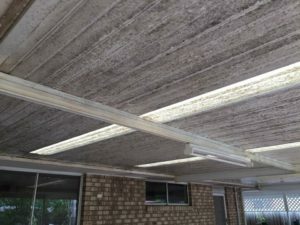 So when you go outside to your patio on a winters morning and noticed the water droplets on your patio ceiling, you are growing mould. ￼One solution to this is wiping it clean but this is an impediment that could waste hours of your time each day. The alternative solution is regular soft washing. 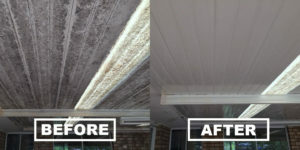 Andy services offer soft washing solutions that will leave you smiling and enjoying your entertainment area for years to come, as mould can attack painted services costing you more in painting and maintenance. 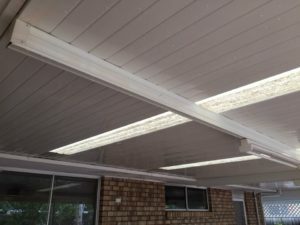 Depending on the size of your patio surrounding trees and the location of the patio north, east, south or west will define the soft washing frequency. © 2017 Andy's Services. All Rights Reserved.